Vikram stars in another unconventional role – as a grown-up man with a mental condition, in director Vijay\'s new film. Vikram in a still from his new film 'Deiva Thirumagan'. CHENNAI: Known for his acting prowess and hard work, actor Vikram has essayed various off-beat roles in the past. And this time, he’s all set to play a five-year-old boy in ‘Deiva Thirumagan’, directed by Vijay of 'Madharasapattinam’ fame. 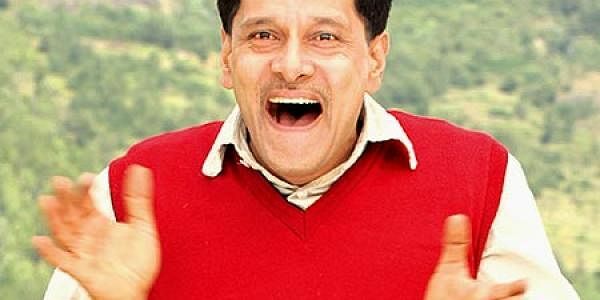 Krishna, Vikram’s character in the film, is a grown-up man, with the mental maturity of a five-year-old boy. The teasers and the trailer of the movie were screened for the first time to the media at a press meet organised by the film’s crew on Sunday. Mohan Natarajan’s Sri Rajakaliamman Medias, has produced the movie. The cast includes Santhanam, MS Bhaskar, Pandi, Kishore and Krishna Kumar among others. Shot in Ooty and Chennai, the audio of the film would be out on April 14. It is slated to release in May.